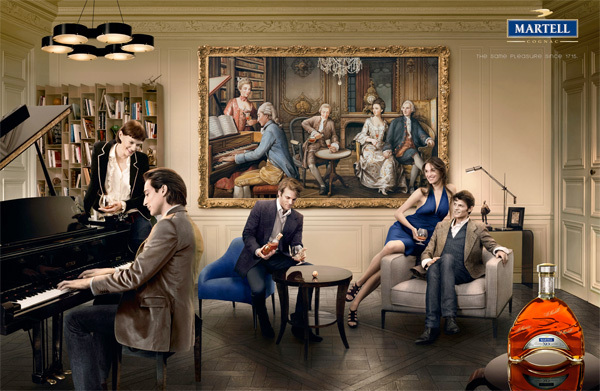 Love these french ads for Martell XO that i ran into on I Believe in Adv. 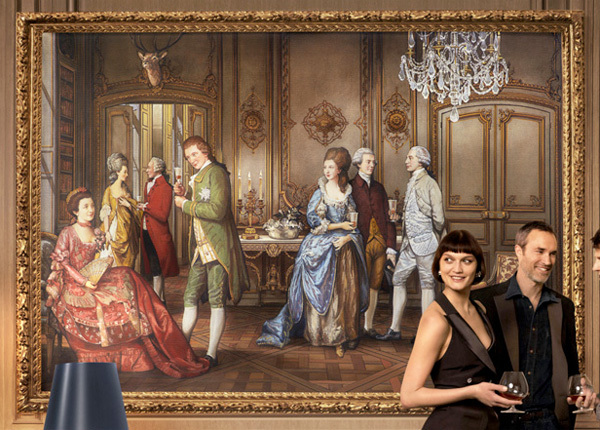 Such a fun concept to show that it’s “The same pleasure since 1715”, having the more modern day scene reflect the world in the painting from the 1700s! I supposed the question is did they take it too far? or not far enough? Part of my wishes in the paintings, there would be a painting of an even OLDER time with the same scenario inside… or that the dresses and suites were matching in color… though that might just be because of the girl in the pink dress matching… and a guy in a red suit might be a bit much! 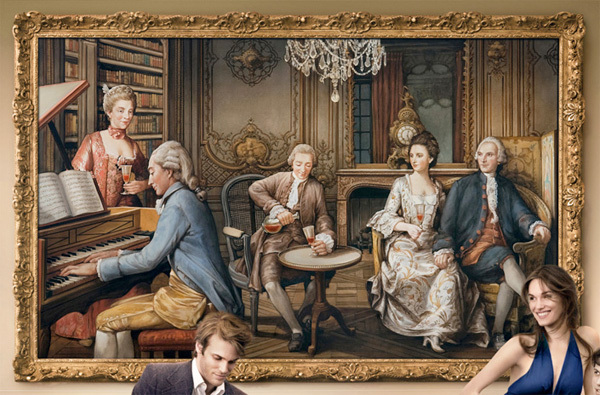 See the second ad, as well as close ups of the paintings on the next page!